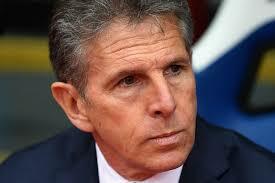 Claude Puel is not dead! The Leicester City Manager confirmed he was not on the ill-fated helicopter crash that took place yesterday just over King Power Stadium, after yesterday's match. Anxiety rose yesterday after the incident when the helicopter belonging to the Chairman of the club crash landed near a car park. Claude Puel however describes the incident as a tragedy for the club.